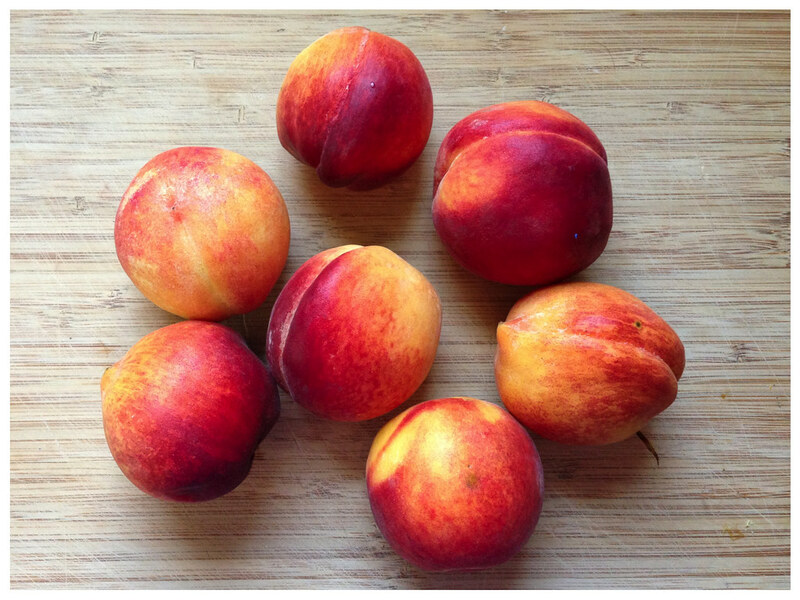 I am always disappointed with how peaches here in Virginia taste during the summer. They smell great, taste good, but never taste quite as intensely "peach" as I think they should. I know this is because peaches have been ruined forever for me. 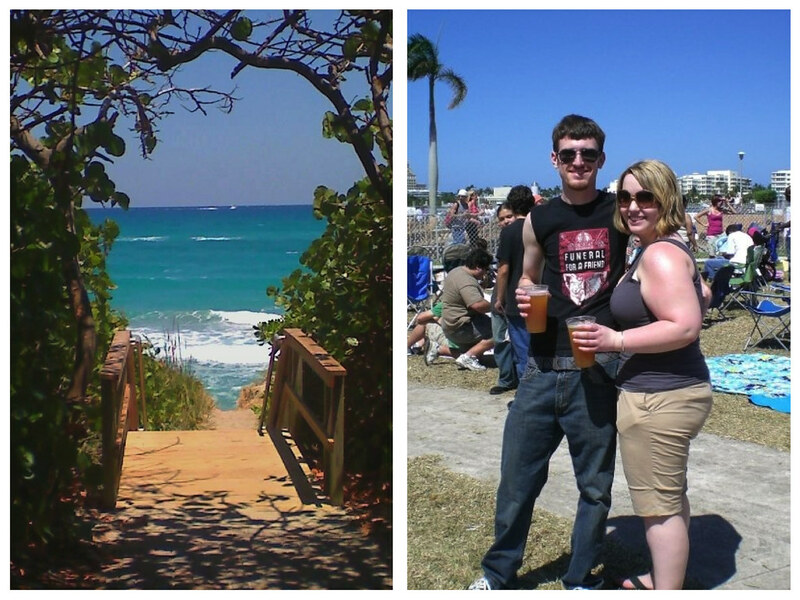 In May of 2009, Jordan and I (having only dated for about 8 months at this time) decided it would be a great idea to pack up my little Ford Focus and drive 17 hours to Jupiter, Florida for the week. We have a great family friend that lives down there, and she had been begging for me to visit. We had such a great time! We went to an Art and Music festival, visited a Wildlife Reserve, drank beers as big as our heads, and I finally got to visit South of the Border. The thing that I think about most often from our trip is something that happened in a parking lot in Georgia. I realize that sounds super sketchy, but I promise it's relevant. After filling up the car's gas tank, Jordan and I walked over and bought five pounds of peaches (I guess there was a minimum purchase. Or we're crazy) and sat down on the curb for a snack before hitting the road again. What followed was the BEST PEACH EXPERIENCE I have EVER had. Even though we didn't have the peaches in the middle of the summer (when I imagine they're at their best) I have truly never had another peach that compares. After devouring a two or three peaches each, we washed the juice off of our arms, climbed back into the car, and zipped out of Georgia. Back to the here and now. To ease the pain of not having Georgia peaches as my disposal ALL SUMMER LONG, I decided Virginia peaches + whiskey was an acceptable combination. While the title of this post calls this a sorbet, I think it is somewhere in the middle of a sorbet and a granita. Either way, it's easy, delicious, and boozy. I think it would also be delicious with champagne poured over it- because clearly booze on top of booze is how my brain works. Bonus points for this recipe: it has NO refined sugar, is dairy free, AND I was able to use peaches and honey that we both locally grown/harvested AND organic! No ice cream maker? No problem. I didn't even use mine. Wash, pit, and roughly slice your peaches. You can peel them if you'd like, but I really love the texture and color the skin added to this treat. 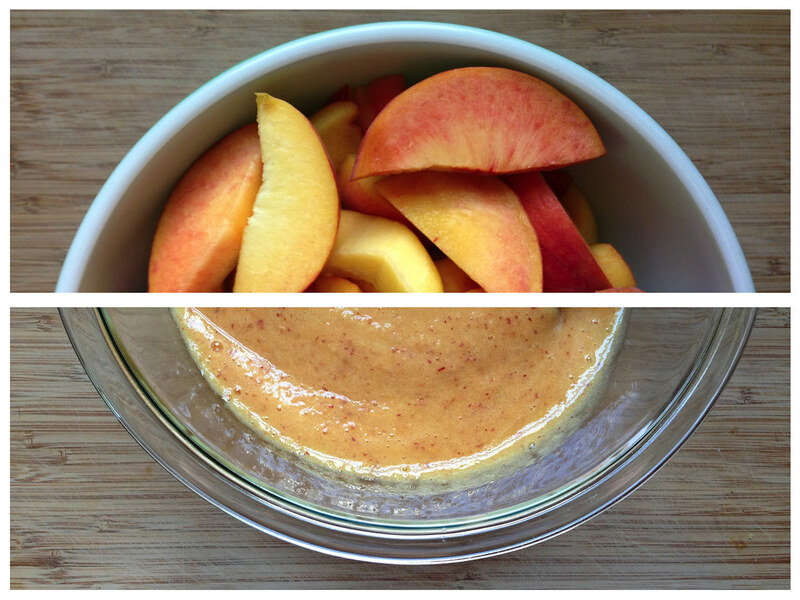 Put peaches into a food processor or blender and blend until smooth. Drizzle in water, up to 1/3 of a cup, as needed to achieve a smooth, uniform consistency. Heat lemon juice on low heat in a sauce pan. Once warm, stir in honey until completely dissolved (this will keep the honey from solidifying when you add it into the cool peach puree.) Remove from heat, add vanilla and salt, and stir to dissolve salt. 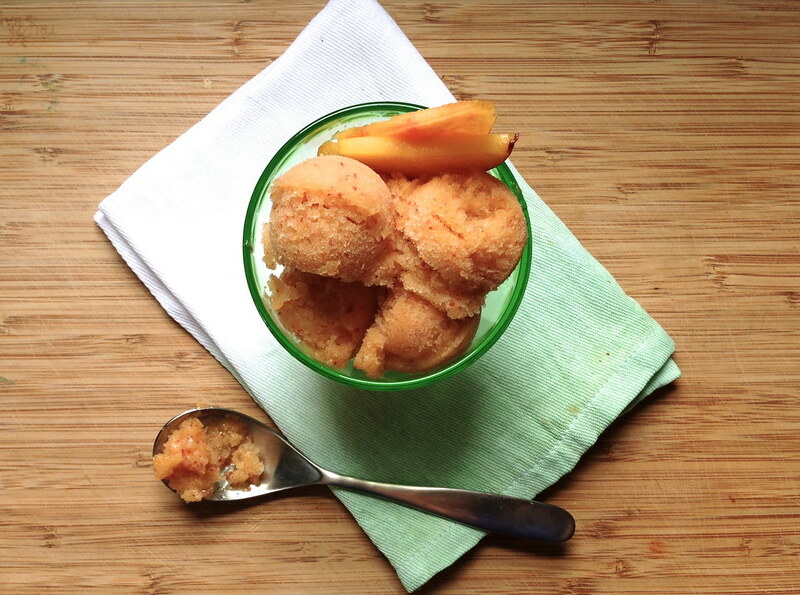 Add honey/lemon mixture to peach puree, stir thoroughly, and pour into a freezer-safe container. Place container in freezer, remove after an hour. Using a fork, break up any icy areas and stir until consistency is uniform. Return pan to freezer, and repeat process for 3-4 more hours. Towards the end of the freezing process, add in whiskey and stir to combine. 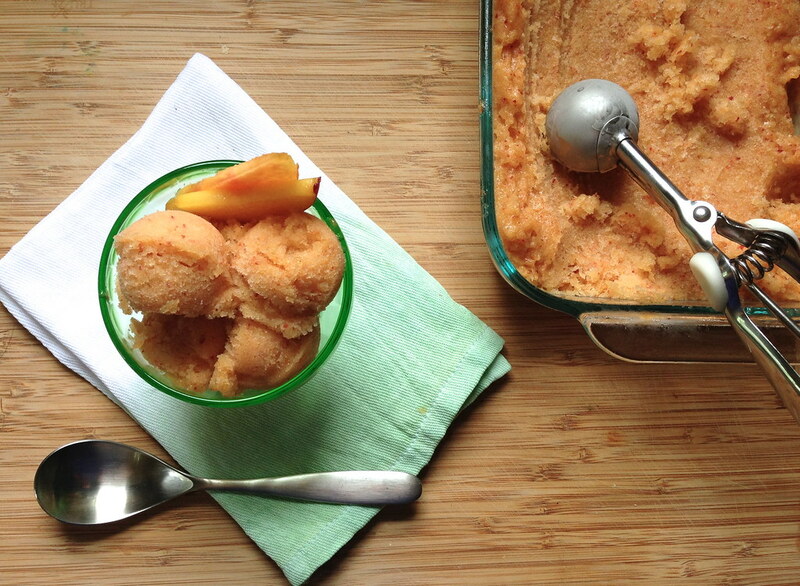 Transfer the sorbet to a lidded container for storage in the freezer. Enjoy! I love a good cocktail. I never thought my love of making jam and my love of cocktails would collide so hard or so deliciously. We took Jordan's parents to dinner at a local favorite restaurant a recently. 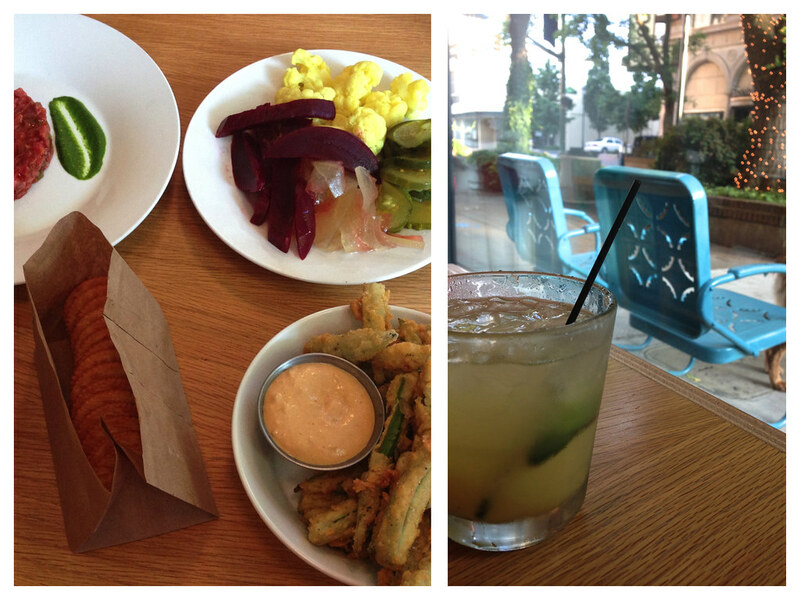 If you live in Richmond and haven't been to Pasture, GO. Run, don't walk! I tried a delicious drink called the "Deltaville" and fell in love. In it's essence, the Deltaville is homemade jam (in a flavor of your choice), plus gin or vodka, plus fizzy water. So easy, right? So easy, in fact, that I've been replicating them at home! The version of this drink that I've been enjoying most frequently uses homemade Strawberry jam and gin, but I have also enjoyed this with blackberry jam and some limes! My favorite combination, however, is strawberry jam, gin, sparkling water, lime and torn BASIL. Are you ready for this insanely easy bev? Combine jam, torn basil leaves, and gin in a jar fitted with a lid or a cocktail shaker. Shake vigorously until well-combined. 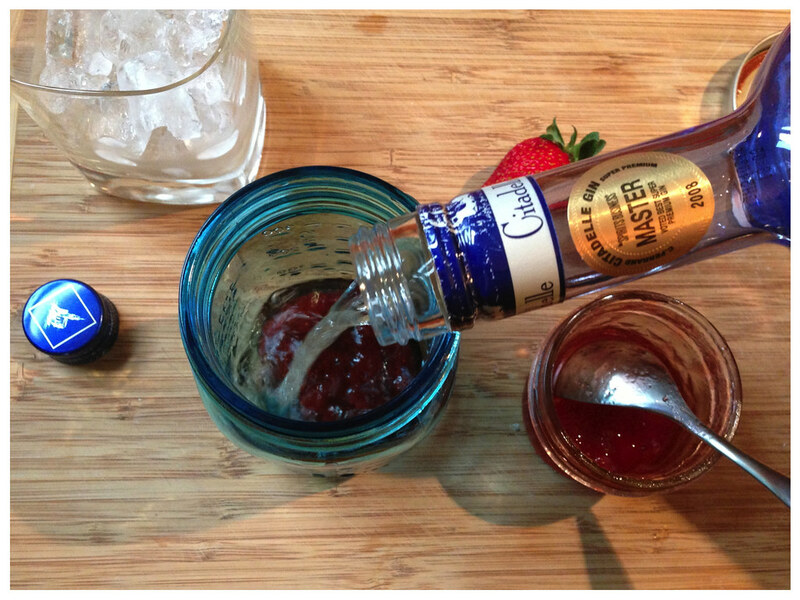 Pour boozy basil jam over ice. Top with sparkling water, squeeze in lime slice, and enjoy! I like to top mine with some fresh fruit or a cute straw. It definitely adds to the overall enjoyment factor, don't you think?? I know we've talked about my love of pie a lot here over the past few months. I love the taste, the texture, and the method of making pie. I really enjoy being able to make each separate component and bring them all together into something juicy, flaky, and smile-inducing. If we are being completely honest here, though, pie is tied with something else as my favorite type of dessert. The other? Ice cream. 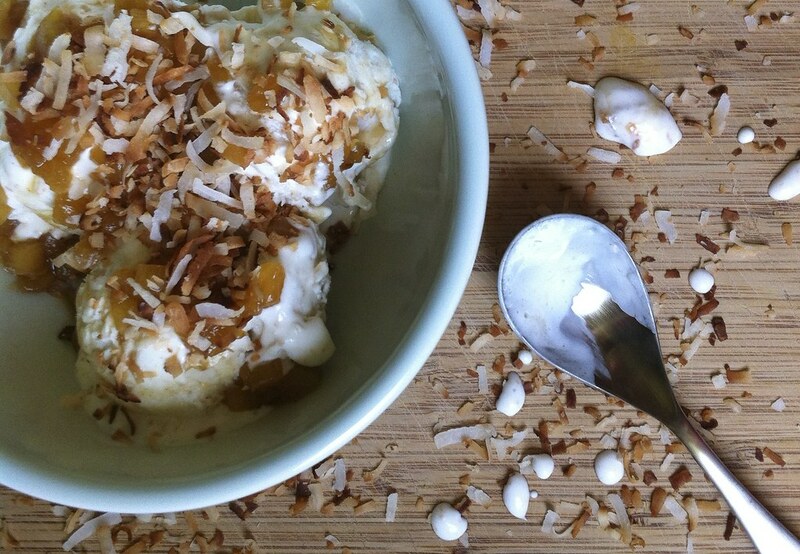 The past few years have rendered me unable to enjoy ice cream like I used to, so I'm always on the hunt for ways to enjoy one of my favorite desserts without dairy-- which isn't easy! 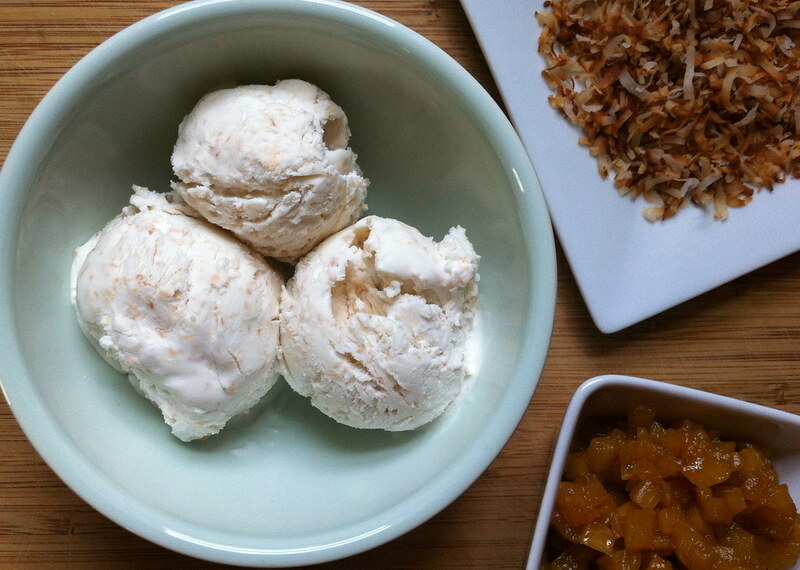 I made two batches of this ice cream- one using dairy, and the other using almond milk. This. Ice Cream. Is. So. Freaking. Good. Whatever you use in it (milk or milk alternative) it's going to be killer! Jordan was even excited about this ice cream! 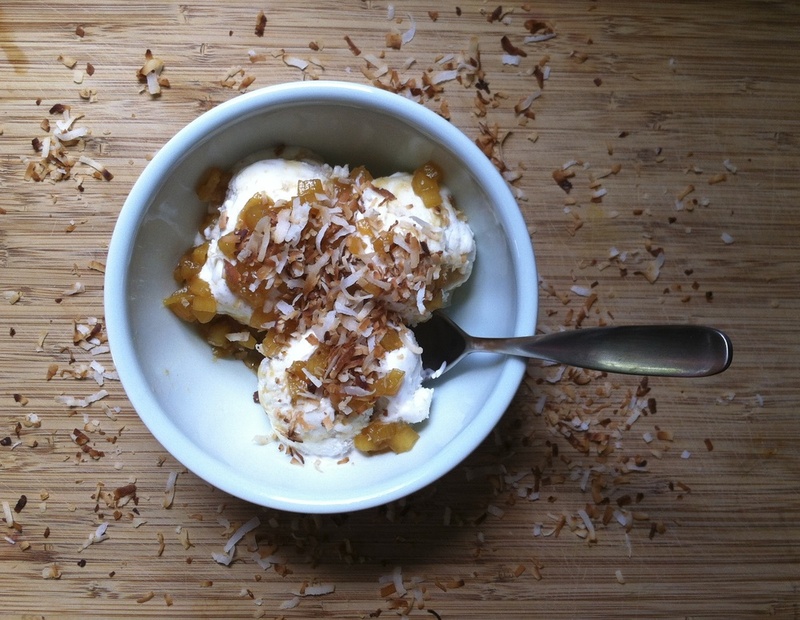 He wanted it to initially be Pina Colada ice cream, so to please us both, I made a really simple brown sugar pineapple topping! 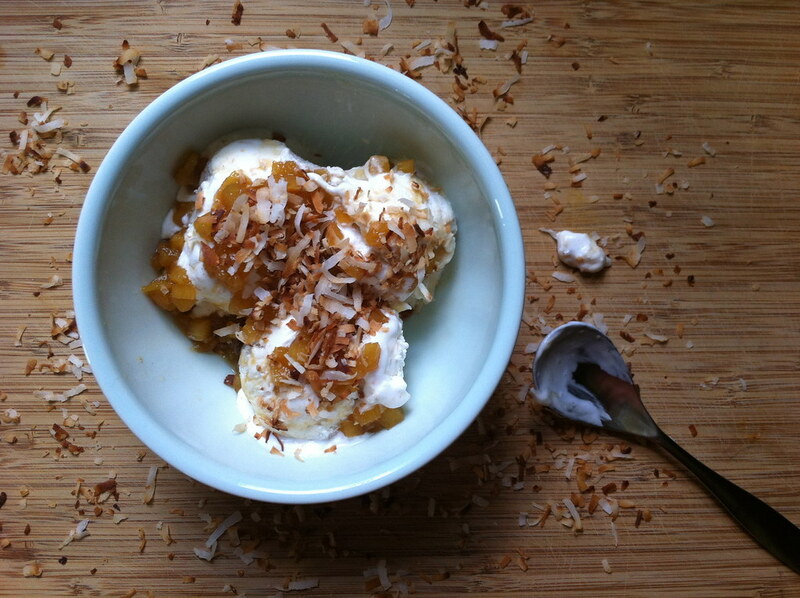 Ice cream + toasted coconut + pineapple topping? Feels like you're at the beach even if you're in the middle of the city. My friend Courtney and I share a love for things that are chocolatey, coconut-y and/or soaked in coffee- so when she said this ice cream was amazing, I knew it would be. Whisk together all of your liquid ingredients and place in fridge for a few hours until thoroughly chilled. Once cold, freeze mixture in an ice cream maker according to the manufacturer's instructions. 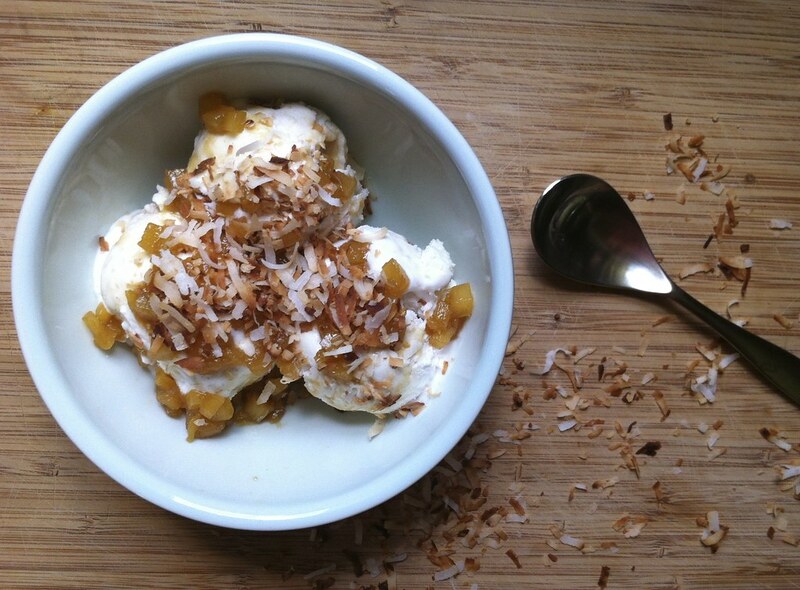 Once ice cream has reached the consistency of soft serve, stir in 2/3 cup of toasted coconut (you will reserve the remaining 1/3 for garnishing.) Place ice cream into a freezer-safe container, and freeze for 3-4 hours before serving to allow ice cream to solidify. Combine all ingredients in a small saucepan over medium high heat. Bring to a boil then reduce to simmer, while stirring regularly. Liquid should cook down, but still remain juicy. Allow filling to cool slightly before spooning over ice cream. There are few things I love more than pie- you guys know that. There is something so therapeutic about standing in the kitchen, pulling together a crust, cutting up fruit and tossing it with sugar. Somewhere between the moment you're finished crimping your crust and pulling it out of the oven, something magical happens. Juices cook out of fruit, butter heats, steam pockets form in the crust, and sugars caramelize. Once your pie is out of the oven, however, you're not out of the woods just yet. Now comes the time to worry about whether or not your pie has set up. Sadly, a runny pie has no remedy. You put this labor of love into the oven, pray a little, and pull it out JUST before you think it's over-baked. The most important thing for your pie when it comes out of the oven, for just a few hours, is patience. DO. NOT. CUT. INTO. THAT PIE. Other desserts (really, almost all other desserts) are best when eaten shortly after they are baked. A warm cookie? Fuggedaboutit. Pie, on the other hand, can be tragic if it's cut too soon. All of your delicious juices (that will later thicken as your pie cools) will run right out, and you'll cry. Making pie is not difficult, but it is time consuming. Dough making, dough resting, dough rolling and shaping, fruit preparation, fruit macerating... you get the idea. This is why the idea of one premature cut into a glorious homemade pie is so terrifying to me! 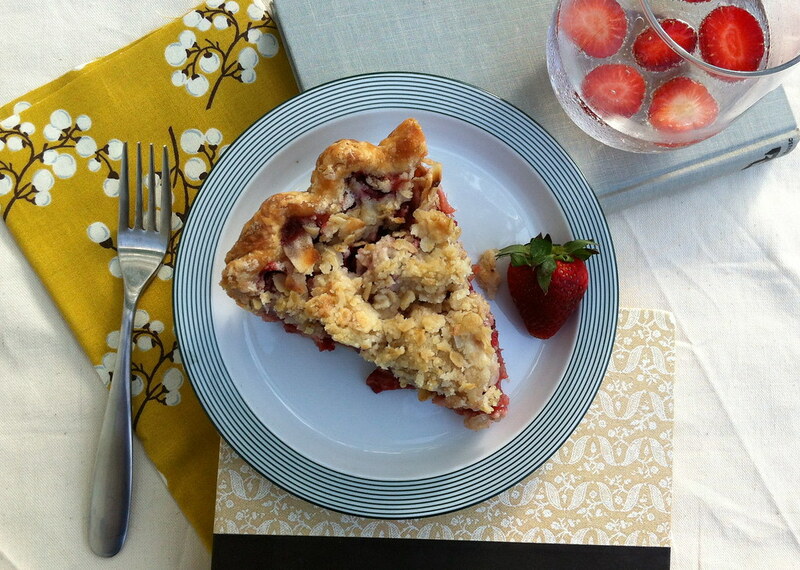 This pie uses a LOT of juicy fruits- which is why it is so dang delicious. It is also why I was petrified about it not setting up. 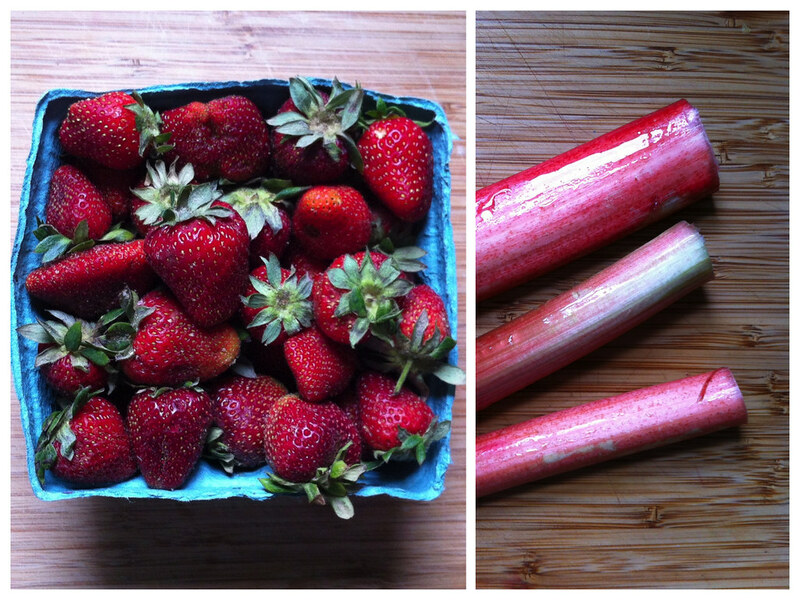 I've never cooked with rhubarb before, and that element of mystery was also a bit scary. 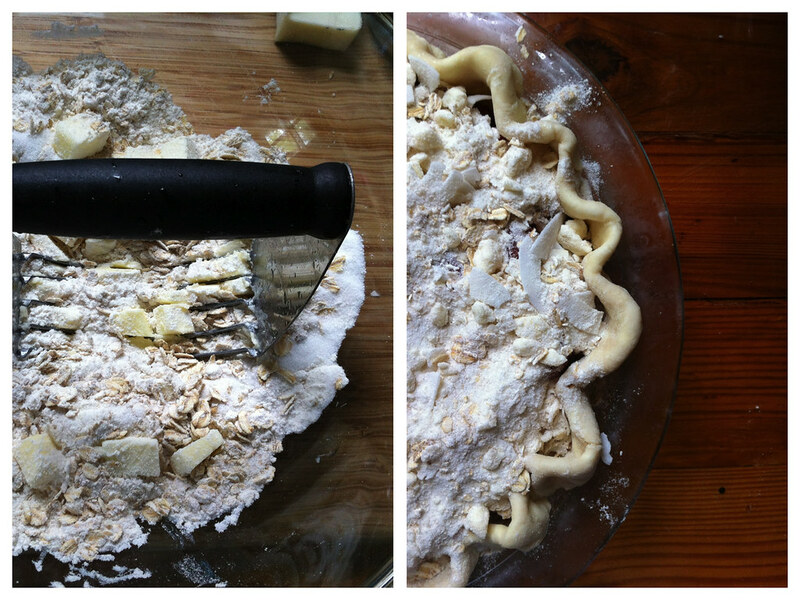 I have one go-to pie crust recipe. Upon reading up on strawberry rhubarb pies, it seemed as though most people encouraged a crust more substantial than the one I normally use. I figured I would just use my ol' standby and hope for the best. 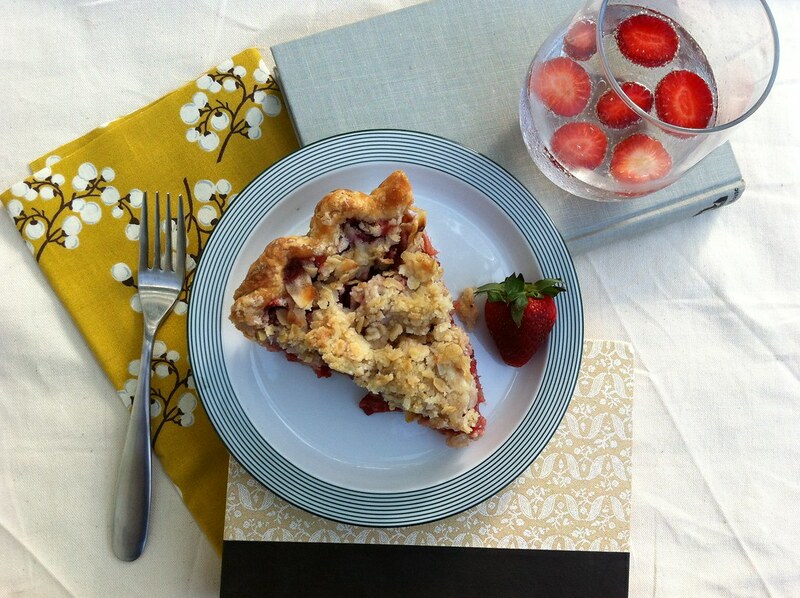 Joy the Baker posted a recipe for a Strawberry Rhubarb Crumb Pie as I was doing some recipe research to make a rhubarb pie of my own. It seemed serendipitous! She recommends using a heavy-duty pie crust- and when Joy speaks, you listen. After making and consuming this pie, I am thankful for that thick, protecting crust. It kept all of my sweet fruit juices in and never got soggy. God bless Joy. I'm still thinking of this pie. 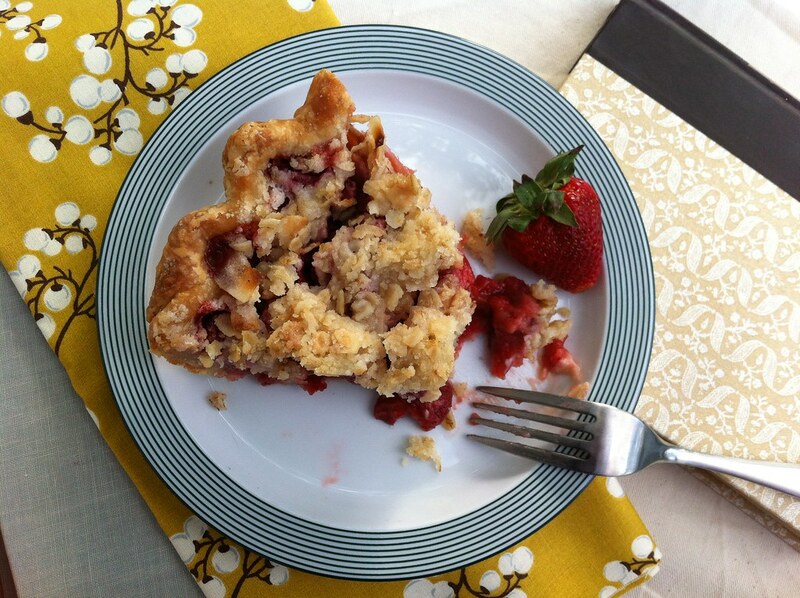 Please go check out Joy's recipe, see if you can round up the last of the rhubarb harvest this year (or pull some out of the freezer,) and savor this beauty. A happy place. Everyone has one. 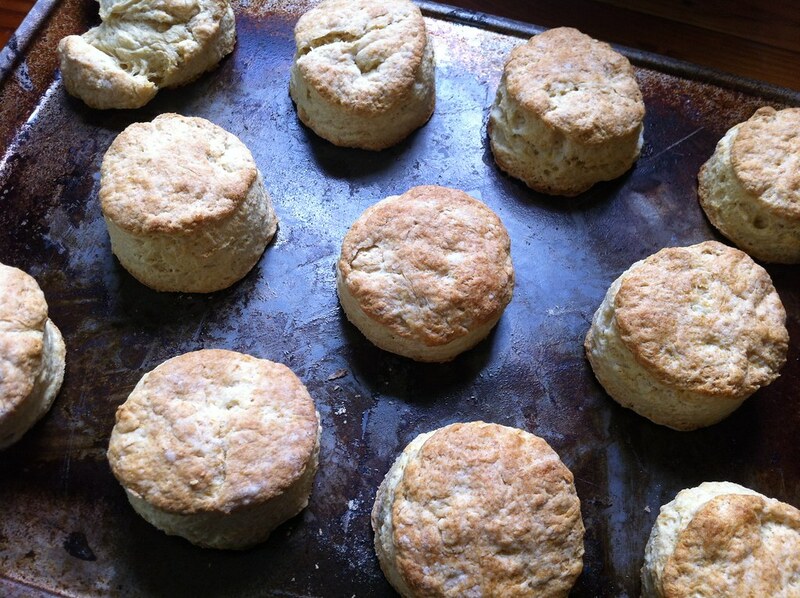 Mine sometimes involves biscuits. Is yours a real-life happy place, or more of a dream? I bet my mom's would on the beach with her toes in the sand. Mine is a real-life, everyday place. There are several things that go into creating my perfect, zen-educing, super-relaxing happy place. It's always in my kitchen. I don't have to be home alone, but it helps for overall atmosphere. It can be any time of day, but it's usually in the morning/early afternoon. There are no lights on, only natural sunlight. Let's be real- I'm probably wearing yoga pants and no shoes. I maybe don't have makeup on. I maybe have last night's mascara stuck to my face. I maybe have taken a shower- who knows! I'm a real wild card sometimes. 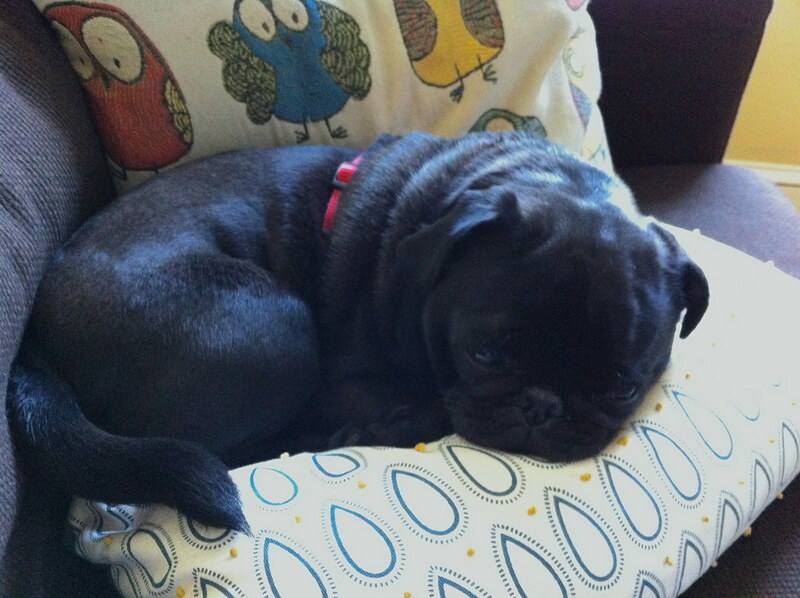 I'm probably listening to something melodic like Fleet Foxes. Or maybe my She & Him Pandora station. Or Otis Redding. This is my happy place. I'm probably chopping fruit and veggies, making pie crust, or kneading dough. All of these things are good things. ICE CREAM! Specifically, BLUEBERRY ICE CREAM. Rosemary and rhubarb syrups. 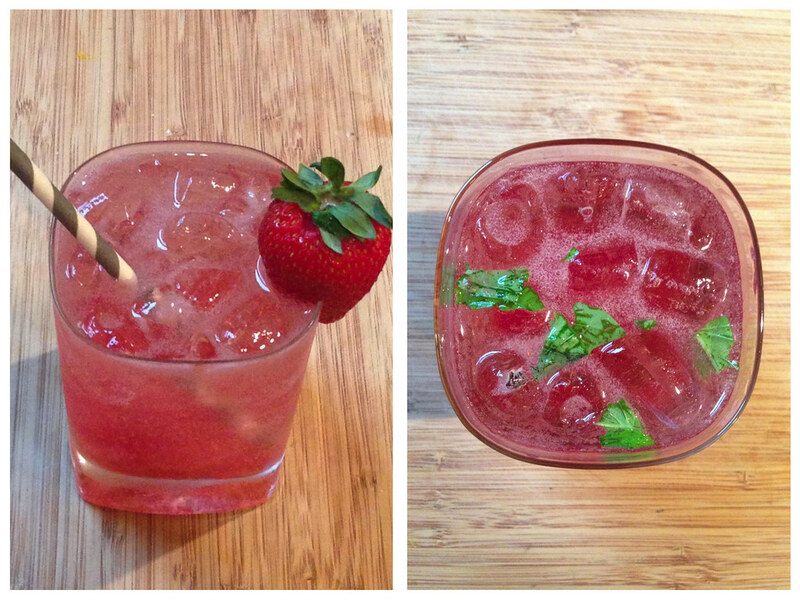 Summer requires gin drinks. Gin drinks require sparkly water and syrups. Pickles! Not just regular pickles (though those are coming, too!) I'm going to try my hand at beets, radishes, and spicy garlic green beans this week! Jam. All of it. 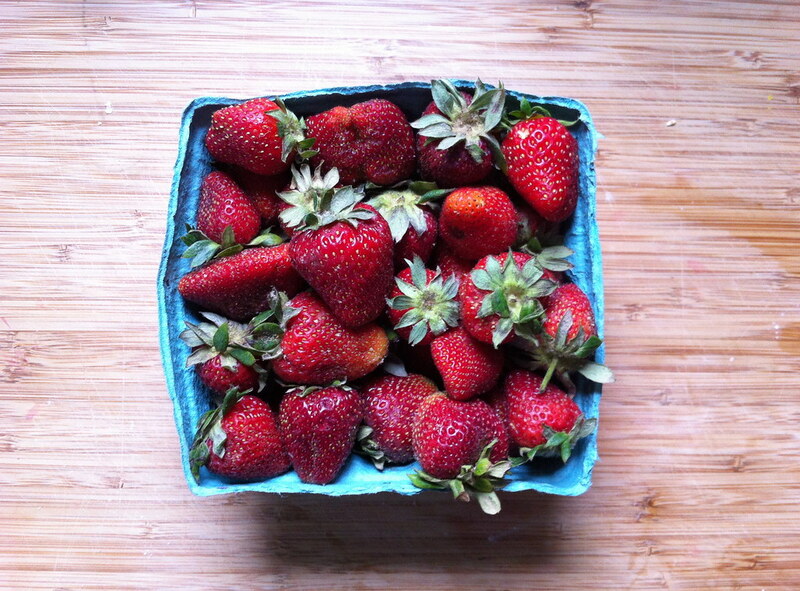 Give me all of the berries. With Memorial Day just a few days away, do you have any plans? We had toyed around with hosting some kind of cookout, but that totally fell off of my radar. Dang it! I think my next day off will be spent playing with and pickling some of the gorgeous local produce we've been getting in our CSA box! 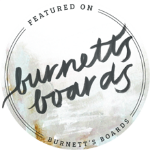 Are you guys into pickling, preserving, or fermentation? I'm super fascinated, and can no longer contain my curiosity. I'm diving in. I will report back soon! 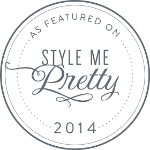 I hope to have some really pretty photos and delicious projects to share.